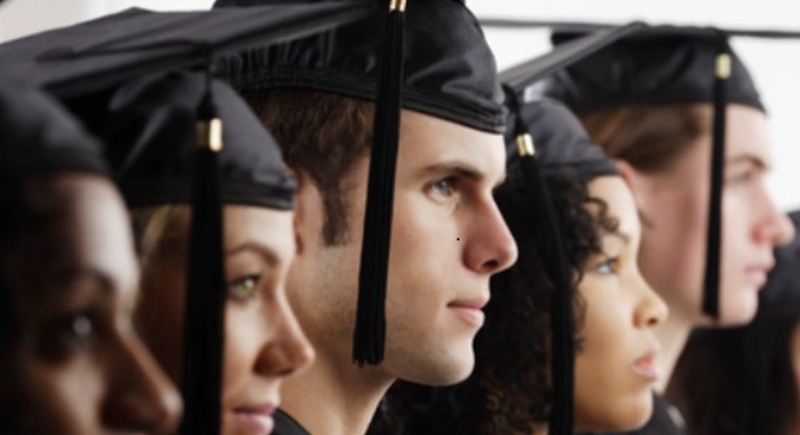 What Makes New Graduates Great Employees? As a recent graduate, you know you have much to offer. From a potential employer’s point of view, though, what makes you attractive? Below are some good reasons for you. Having someone like you who’s in the demographic can help the company to design products, craft messaging, and deliver delightful customer experiences to this important target audience. Businesses want to reach prospects, customers, employees, and vendors through technology. Senior execs realize that there is untapped potential in Facebook, Twitter, Pinterest, Yelp, mobile apps, etc. But they may not know the most effective ways to use these tools. As someone who has most likely grown up with computers and other technology, you intuitively grasp how to use things like social media that can confuse older generations. (Have you ever seen one of those business Facebook accounts that's obviously run by someone who doesn't understand how to communicate with people online?) Your experience with smart phones, the Internet, and other technology might seem like a non-skill — after all, it's just the way you communicate with your friends or have fun — but it's also a serious workplace asset. As businesses innovate and experiment with new ways of doing business, they need team members who are eager to contribute and willing to take on projects with uncertain outcomes. The ability to learn from failure is particularly valuable. As a new employee, you have no reputation to lose. So you may be more likely to take risks in order to garner rewards and recognition associated with major initiatives. Many managers prefer to hire people who they can shape to thrive in a unique environment. In the past, they may have become frustrated with seemingly qualified employees who were too bound to standard industry practices and business models. A recent grad typically doesn’t have deep industry knowledge that must be unlearned, mindsets that must be altered, or habits that must be abandoned. Your lack of experience means that you can easily adopt your new employer’s way of doing business. Long-time employees may think that asking questions reveals inadequacies, so they often keep quiet. But things like requesting feedback from friends via social media, meeting with professors to gain better understanding (and higher grades), and setting up sessions with adult mentors are all natural for you. And when you ask questions, your boss generally really appreciates it. Asking questions demonstrates you are eager to learn, have wrestled with an issue (rather than ignoring it), desire to have a deep understanding, and are committed to a project. Your boldness in pursuing and eliciting responses helps everyone to get clarification on big ideas and specific directives alike. Many entry-level positions involve extensive travel. Such jobs may require long hours in the field not only during the typical workweek but also on the weekend. Further, there may be an expectation that you show enthusiasm and effectively represent the company to consumers, vendors, and colleagues on these visits. When you're young (and likely haven't started a family yet), traveling is a lot easier and more likely to be seen as a fun adventure rather than an inconvenience. Employers may have difficulty attracting employees to certain locations. Hiring managers may have tried to extend job offers that were rejected because candidates did not want to uproot themselves and their families. As a new grad, you may be more likely to move for a decent opportunity. Plus, you can accept changing locales multiple times early in your career to gain valuable experiences. This flexibility can be appealing to employers — and you might end up living in an unexpected (and awesome) new place. Employers want employees who love their jobs. Self-motivated people who find meaning in their work are generally productive, supportive of coworkers, and promote workplace harmony. According to a recent study, “Loving what I do” outranks salary among millenials (people born in the early 80s through the 90s) as an important factor for job satisfaction. This scenario is a double win for employers who are seeking devoted workers who thrive on meaningful professional experiences but may not require hefty compensation. And speaking of compensation.. In times of recession and recovery alike, companies are cautious about spending. Though many organizations are willing to pay top dollar for the best talent with a history of successes, some are hesitant to overburden their budgets with payroll expenses. You may be attractive to companies who want capable employees but don’t have a lot of extra cash. As a new grad, you may be more likely to accept a lower-than-average salary (or a salary lower than someone who has been working for a few years) in order to gain experience and exposure to clients in your field. Though wisdom is timeless, bodies of knowledge grow and best practices evolve. Hiring managers may welcome a recent grad as a cost-effective way to bring up-to-date knowledge to their businesses. Fresh out of school, you've likely been studying the newest practices in your field, possibly with prominent research professors. Thanks to that experience, you may have information and insights that are valuable to employers, particularly if you work in a less mature industry or one that has experienced significant change due to ongoing research or global expansion. Server responsed at: 04/19/2019 9:07 a.m.